Roof Restoration is often overlooked but can be a simple way to add value to your home. Come home to your proud home that makes your neighbours jealous. Roof Restoration can rejuvenate the look of your house – making it look new. Roof Restoration is often overlooked by many home owners. 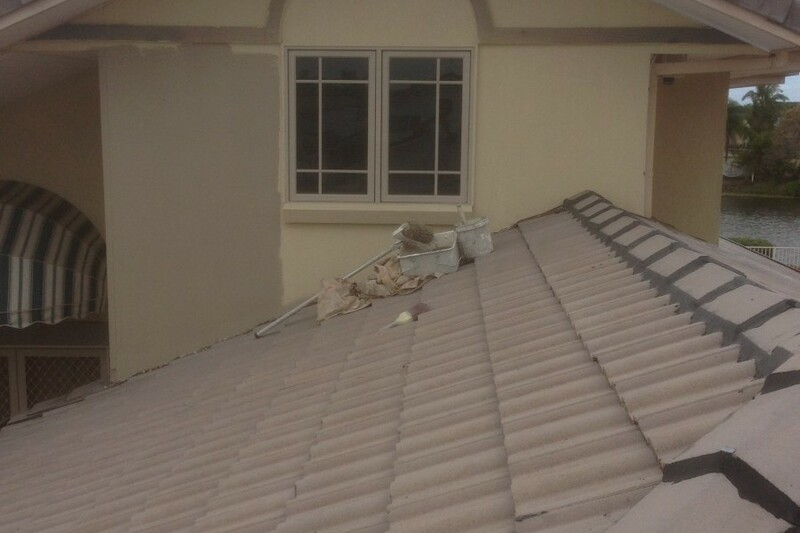 Because of this, a roof can quickly deteriorate in terms of appearance. If you are looking for ways to increase the value of your home, roof restoration is your first step. Roof restoration can lift the entire look of a house’s exterior. One of our professional roof restoration experts restore your roof to its former glory – leaving it looking like new. Over 80% of our work comes from satisfied clients referring us to their friends which is a great testimony to the level of service we provide and the pride we take in our work. If anyone is looking to have their roof restored I would strongly recommend that they use your business “Colour Elegance” to conduct the restoration, as I’m sure they’ll have the same experience that we had when dealing with you. It was a pleasure dealing with you during the process of our roof being restored by your business – the professional approach keeping us informed for when the cleaners will be here to high pressure clean the roof, then the detailed process of how the restoration will occur, which when completed looks “outstanding”. We use Nutech Paint for roof coatings so your restored and repainted roof will have the best finish that will last. We not only guarantee Australian Standards on all our work but we also give you a 7 Year Guarantee on workmanship. We have Public Liability Insurance and we are Occupational Health and Safety (OH&S) compliant. Never underestimate the value that can be added to your home from a roof restoration. Even a simple high pressure clean from Colour Elegance can add life and value to your home. Your roof will undoubtedly deteriorate over time- that’s where we step in. We can maintain the look and state of your roof so that it lasts longer - delaying a costly replacement. Protect and maintain what you have before it’s too late. 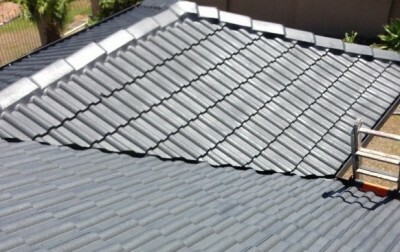 We are undoubtedly, the roof restoration Sydney specialist – we offer professional, friendly service that won’t cost you the earth. And, with over 20 year’s experience - you can have confidence in our workmanship. It’s perfectly normal to be hesitant about a roof restoration because of the anticipated cost. It is a big space so it seems logical it would come with a big price tag. However, a roof restoration cost is not as high as you might think, and it is certainly less than an early roof replacement! We are happy to come out to your home and inspect your roof and provide a free, detailed written quote – so you know what to expect before we start work. You will be pleasantly surprised at the cost and how the restoration will refresh the exterior of your home. And, if you are having problems with annoying leaks- a restoration could just be the answer. You only need to look at some before and after restoration shots to appreciate the full visual impact roof restorations have on homes. 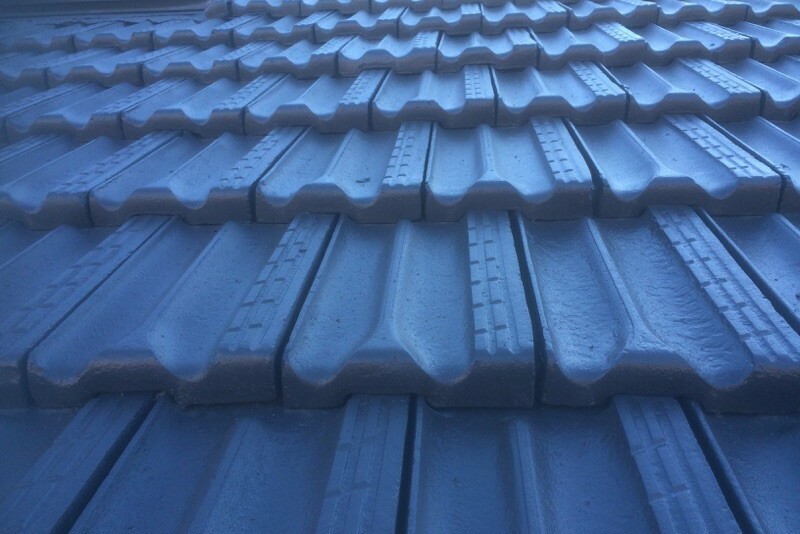 A clean, repair and recoat can be applied to any style of roof from terracotta tiles to Colorbond and Zincalume. Sometimes a total roof restoration is not required – an inspection by one of our highly trained staff will help determine the state your roof is in. 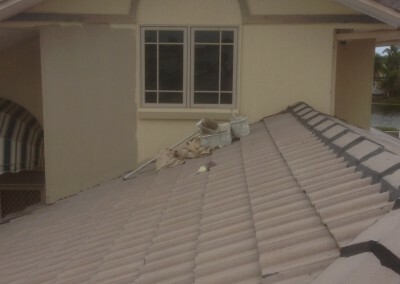 Maybe you only require some minor repairs – we can help with that too – we specialise in roof repairs Sydney -at competitive prices- so call us now to organise a free quote. Our weather has increasingly become unpredictable -we seem to enjoy all different types of weather patterns –sometimes several within the one day! Keep your family safe with a full roof check to make sure your roof will remain safe in strong winds and torrential rain. High pressure roof cleaning goes a long way towards bringing back the sparkle to your roof but if necessary we can also apply roof sealer, and even replace the roof membrane too. We will know exactly what is needed once we make a full inspection. Maintaining your roof is as vital as the maintenance required on any part of your home. The roof protects the whole house underneath so it must be kept in full working order. 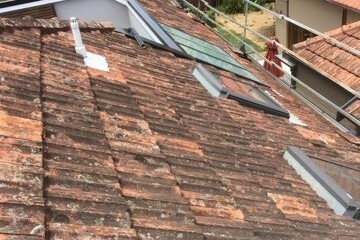 Call us now to organise a complete roof inspection -it doesn’t take long but prevention is always better than the cure. 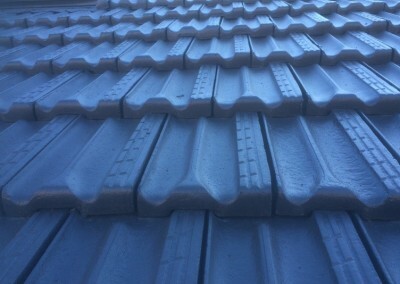 For tiled roofs, a Colour Elegance team member will perform a full inspection, clean the tiles completely, replace any broken or missing tiles and then the tiles will be rebedded, given a repoint after that and then all that is left is to sterilise and reseal the tiles. Metal roofs are prone to rust- we can help with that too. For metal roofs the restoration process can be broken down into simple steps– a high pressure clean to start with followed by rust eliminator, priming and sealing, while the final step in the process is applying a roof membrane. After inspecting your roof, we can advise a course of action- whether that be clean, restore or sometimes a complete re roof may be required. Roof cleaning is one of our specialties here at Colour Elegance. Often customers think they need a roof repair but upon inspection the roof is actually in good condition and just needs a good clean to look fresh and new again. 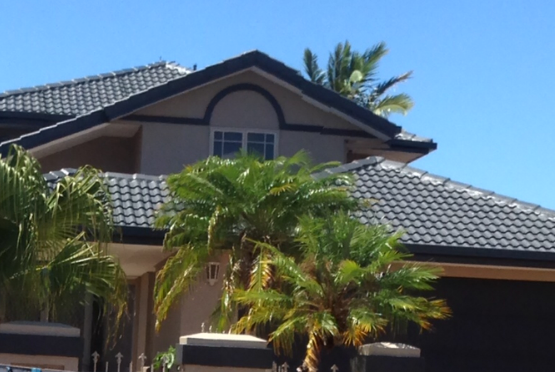 Firstly we will remove the dirt and mould from the roof as well as any moss that is growing; the cleaning solution will be applied and if necessary scrubbing may be required to really dislodge tough dirt and remove stubborn stains; a rotary washer is then used to give the roof surface a high pressure clean. This is applied to remove dirt and grime. The final step in the cleaning process involves a final rinse to completely remove the grime. After this extensive process your roof will look completely rejuvenated which in turn will refresh the look of your whole home. The roof and gutter of your home go hand-in-hand. 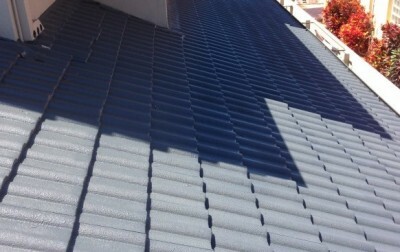 A reputable roof restoration company will always inspect not only the roof but the gutter too. The rain gutters direct water away from the main part of your home and can also collect rainwater for use later on. The gutter has a very important role in protecting your home and as such should be cleaned and inspected on a regular basis. Blocked gutters are not good for your home – apart from the fact that they don’t allow water to escape away from the building, the water pools can attract mosquitoes too. Colour Elegance offer a complete gutter service- we can inspect, clean and if necessary repair your gutters so that they remain in peak condition. Like any part of your home guttering does age and deteriorate. It will eventually need replacing regardless of maintenance. Regular maintenance however, will definitely prolong the life of your gutter and delay its replacement. If you do need to replace your guttering we can help with that too. 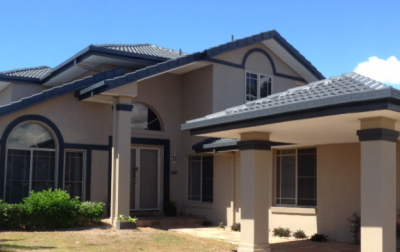 Colour Elegance recommends the use of colorbond guttering – it is available in a number of styles, sizes and profiles and come with an extensive warranty – for your peace of mind. Protect your home with the best product- one that will stand up to the harsh Australian climate. Contact Colour Elegance today- our highly trained team members can help get your roof and guttering back to tip top condition in less than no time. Call us for a free inspection and written quote – we can provide a full plan of action. We are the roof restoration specialist! Enjoy a clean, sealed and vibrant roof by Sydney’s roof restoration specialists!